It’s not that points matter any more as the weather turns warmer—they count just as much in November as they do in March—but this is the part of the season where every blown, salvaged, earned, or gifted point comes with the attached hyperawareness. The Dallas Stars are in the thick of it, two points out of the top three in the Central, two points atop the wild card race, and on Sunday they were absolutely gift-wrapped a valuable point they had no business claiming. All because not one of the officials on the ice or in the War Room in Toronto saw Anton Khubodin throw his dang stick. The Stars came back from 2-0 down to tie the game and send it to a shootout, where they fell to the visiting Canucks, but they’ll take that loser point. Especially since the hole should have been 3-0 on Elias Pettersson’s second-period penalty shot. Khubodin “stopped” the shot by flinging his stick and disrupting Pettersson’s rush. Both referees were on the goal line, in perfect position to see Khubodin’s yo-yo stick, but inexplicably did not. In fact, when Canucks coach Travis Green asked ref Justin St. Pierre why it wasn’t a goal, St. Pierre apparently motioned to him that Khubodin had merely poke-checked the puck away. 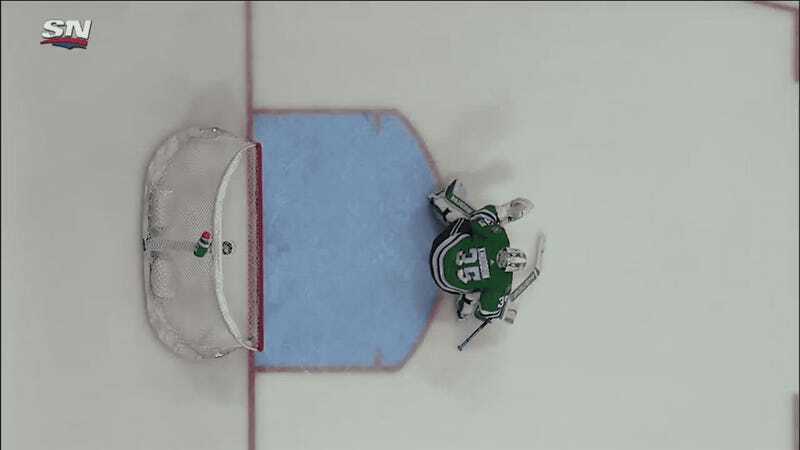 It was pointed out to Green that it looked as if Khudobin threw his stick. Even if they didn’t see it, that’s the whole point of the league’s central video room in Toronto. Exactly two weeks earlier, the same play happened in New York, where goalkeeper Alexandar Georgiev flung his stick to stop Alex Ovechkin on a shootout attempt. 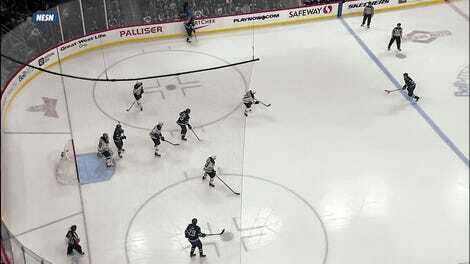 Toronto called in to let the on-ice refs know what had happened, and the goal was awarded. Why didn’t that happen this time? It’s probable this ends up not ultimately mattering, but also quite possible that it does. With the Stars bunched up with the likes of St. Louis, Arizona, and Minnesota, one point could very much affect playoff seeding, or even who makes the postseason at all. It’s also not particularly confidence-inducing for the league’s ability to get obvious calls right in the playoffs, when they extremely matter. Still, I suppose this is more fun than a goal being disallowed for a skate above the blue line.